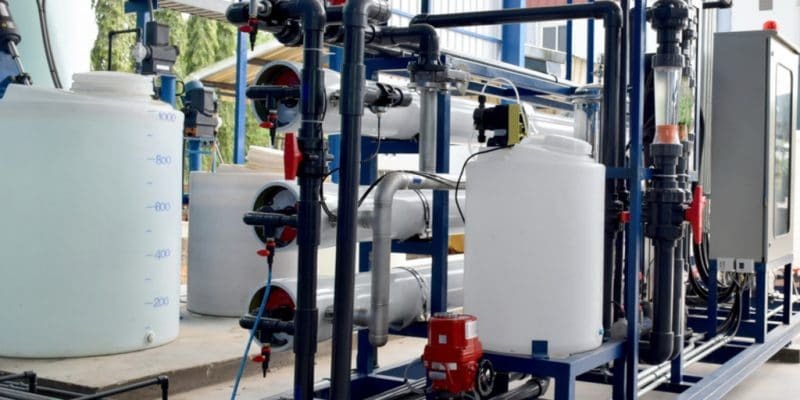 Fluence Corporation Limited, an American company specialising in water treatment solutions, will build three seawater desalination plants for real estate projects for the Egyptian Ministry of Housing. The $7.6 million contract was signed with its partner in Egypt, the International Corporation for Water Services & Infrastructure (IWSI). International Corporation for Water Services & Infrastructure (IWSI), the partner of Fluence Corporation Limited, a company specialising in the provision of water treatment solutions, has signed a contract with the Egyptian government worth $7.6 million. It covers the supply of three seawater desalination plants for several real estate projects of the Ministry of Housing. Each plant will be equipped with four Nirobox SW – XL units. It is a water treatment system installed in a container. The process was developed by Fluence Corporation. According to the company based in White Plains, New York, such technology has been designed to be quickly installed in remote areas. The three plants will therefore consist of 12 Nirobox SW-XL units, and will have a combined capacity of 12,000 m3 of water per day. According to the company, which employs 300 people, the Nirobox SW-XL units are already ready to be shipped to Egypt by the end of 2018, for commissioning in the second quarter of 2019. “Nirobox SW plants allow a substantial reduction in deployment time, investment and operating expenses, and space requirements in a small space compared to a conventional desalination solution,” said Henry Charrabé, Managing Director of Fluence Corporation. Through its partner in Egypt, the company will also operate and maintain the various plants in northern Egypt. Fluence Corporation hopes that the new contract won in the country of Pharaohs will serve as a starting point for the company to conquer the Egyptian water market, which is particularly dynamic at the moment, due to the country’s water needs. The company would also like to conquer other African countries that suffer from drinking water problems such as South Africa, Zimbabwe and Malawi. Fluence Corporation is already present in 70 countries around the world.